Due to the BoE’s decision regarding the rate’s decrease, GBP fell sharply again after the Great referendum. 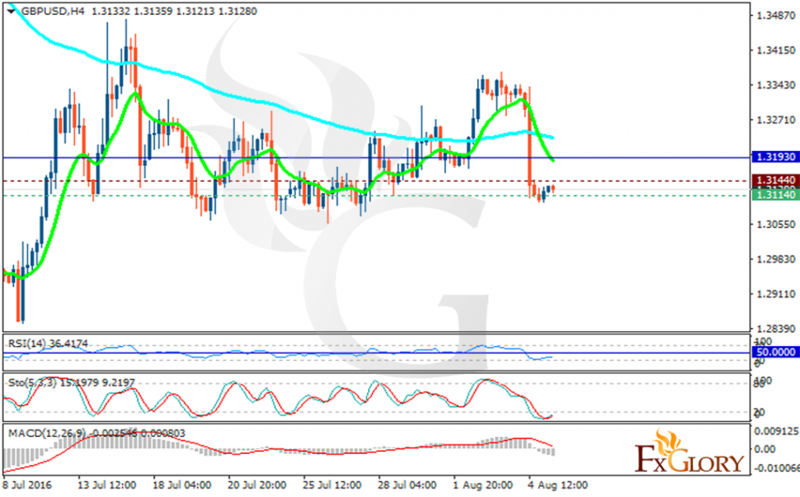 The support rests at 1.31140 with resistance at 1.31440 which both lines are below the weekly pivot point at 1.31930. The EMA of 10 is falling down and has crossed the EMA of 100. The RSI is moving below the 50 level, the MACD indicator is falling towards the negative territory and the Stochastic is showing downward momentum. At moment stay short and after the support level breakdown target 1.2900.